Can you take the day off or go on an extended vacation with confidence, knowing your spa team has everything covered for you? If you can, great! If you can't, you need to invest in training. The sign of great leadership is when you can be gone and everything in your spa runs smoothly! You are not a great leader if you have to be present all the time. The biggest challenge to building a successful, professional spa team is creating training materials. This is a very time-consuming task. Imagine having great business training modules all ready for you! All you have to do is conduct a team meeting and discuss the training materials, or let them listen to the audio or read the transcript. Training is essential to your success. You want to have it be part of your culture! Investing in your team pays off big. The Spa Management Essentials Volume III coaching series will help transform your team into a high-performance team that will help you succeed. This series is filled with great business strategies that are easy to implement. We invite you to view the modules below and begin your team training now. The modules below are spa business training modules designed for spa team members.... The description of each module defines the benefit your spa team will gain from the spa training content. 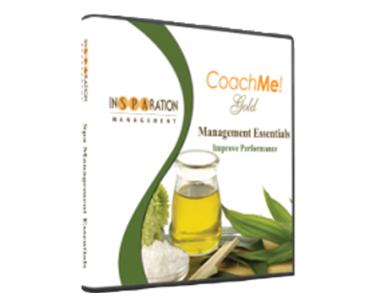 will give you plenty of time to implement what you'll learn on monthly basis. on what to train them on because you don't have a training manual? Do you stand out from the rest professionally? Create a compelling personal brand and achieve a higher level of success! In this module, you will learn how to assess your current image, and craft a personal brand that will differentiate you from the rest. You will evaluate your image, skills, reputation, and identify what you need to improve about your personal brand. You will also learn how to create your story, as well as a compelling elevator speech to introduce yourself to potential clients. Developing a professional, personal brand will help position you as a true spa expert, which will lead you to success. Self-confidence goes hand-in-hand with increasing your personal income. In this module, you will discover self-confidence strategies, insights, and solutions to overcome shyness and build a professional spa career. You will gain skills on how to recommend retail products and upgrade treatments easily and effortlessly. You will also use scripts that will help you fulfill your professional obligations and earn more money. You will finally say goodbye to shyness, and hello to self-confidence! Spa marketing is a key factor to your success, and self-marketing will make a big difference to your growth. In this module, you will learn how to set self-marketing goals to get motivated, and gain strategies to help you work smarter so you can be more successful. 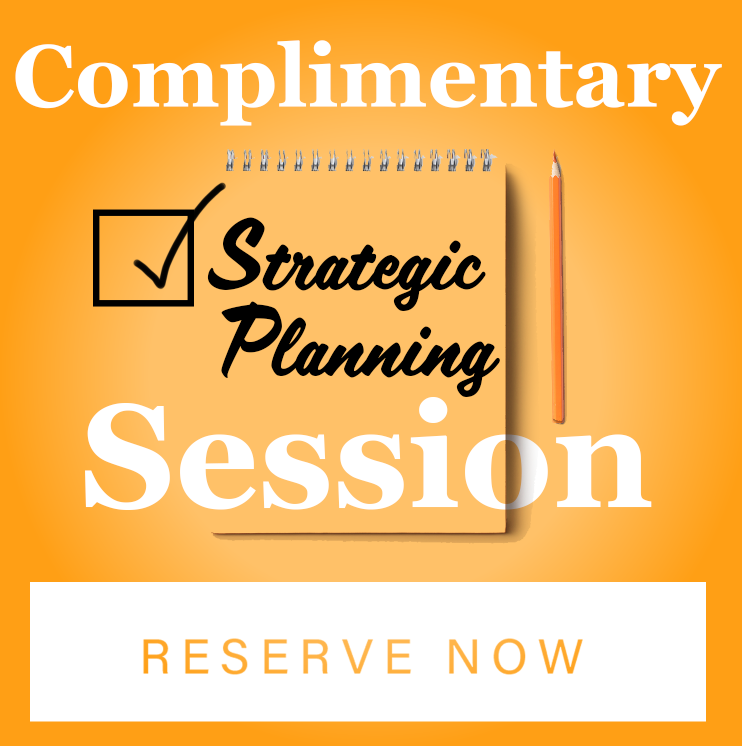 Listen and learn how to apply effective spa tools such as asking for referrals, creating personal mini-commercials, distributing business cards with an offer, cross marketing with spa dollars, and much more. With these scripts, you will now be able to market yourself with confidence. Apply what you learn to increase your capacity and your income! Body language makes up over 50% of what you communicate to your guests. It is important to understand the guests; as well as our own, body language. In this module, you will learn how to make a better first impression, interpret your guests' body language, establish fast rapport, and improve overall non-verbal communication. We encourage you to put body language content to good use so you can deliver a stellar spa guest experience, and generate more spa revenue for you, the spa, and your family. Changes are Good for You! People resist change, but change leads to streamlined systems, improved productivity, better guest experiences, and more income. In this module, you will learn how to be more flexible and easily buy-in on your spa's Big Picture. You will learn how to deal with change and become part of the positive movement. As a team member, you can be viewed as positive and flexible, or as a negative person who fights change--the choice is yours. It's essential that you add value and not fear change. You will learn that being flexible and positive will pay off in a big way. Stay open-minded and you will succeed. Get more out of your interactions with your guests. In this module, you will learn "must-have" conversations with your guests--from the greeting, to discovering your guests' needs, to recommending solutions for in-spa and at home maintenance. Your guests are looking for you to help them. By implementing these productive conversations, all the tools/forms provided will improve your guest experience, convince them to reserve future appointments, and make asking for reviews easier. Study these conversations and watch your performance soar! To be the best, it takes commitment and dedication to training and to learning presentation skills. In this module, you will learn the reasons why people buy spa treatments and spa products, and what motivates them to do so. You will discover words to help you recommend solutions to problems and concerns they have. You will know exactly what words to use, and which ones to avoid, when making product and treatment recommendations. To ensure your success as a team member within the spa, you must set goals and measure your performance. The Team That Works Together Wins Together! It takes a highly efficient professional team to run a successful spa. This module will help you understand why teamwork is important, and how your role matters in the overall success of the spa. 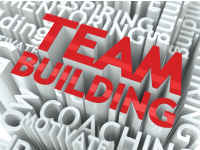 You will learn strategies for establishing team values, and building positive relationships that will lead to working together with your spa team so you can achieve common goals. You will discover the importance of cross-marketing opportunities that will help you become more successful. You will also discover effective team and management communication that will contribute to a great spa experience for your guests, and improved performance for your team. Your success is directly proportional to your ability to think big. The power of thinking big will provide you with a "Can do more!" mindset. In this module, you will learn how to set and script big goals, and how to achieve them! Staying focused leads to highly efficient, extremely productive action. You will wash away excuses, overcome fears courageously, and achieve your goals. The magic of thinking big will make you achieve what you set out to do, banking on the power of positive affirmations to carry your spa career to unprecedented success! You play a big factor in your retention rate, and retention is a direct reflection on the type of spa experience you deliver. When you deliver an exceptional guest experience, guests keep returning to your spa. Touchpoints are the little things that you do that make your guest experience go from average to “Wow!” It takes team effort to put on a great show. In this module, you will discover all the ins and outs of how to implement touchpoints to help you improve and wow your guest! Results? Happier guests equal bigger success! Eight out of 10 consumers will consult online reviews before buying anything from you. Make guest feedback work for your spa by exploring what makes a review-worthy guest experience. Learn the difference between testimonials and reviews—this module is filled with great suggestions about how to gain reviews and testimonials. Discover how to ask for reviews, and use these reviews to help you gain more clients. Leverage “Before” and “After” pictures to draw in new guests, and improve retail sales and treatment upgrades. And in the rare case that it does happen, you and your team will be able to handle bad reviews, learn from them, and turn them into an opportunity to build relationships. Once you know how to turn your guests into raving fans, you will never worry about low capacity and lackluster revenues ever again. 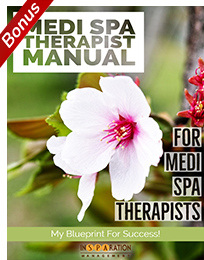 Time is a valuable commodity in any day spa, medi-spa, or salon business. In this module, you will learn how to be more efficient with your time, set productivity goals, organize a To-Do list with priorities integrated, outline productive protocols for every treatment or service, and create a clutter-free spa experience for your guests. Organize your work processes so you will eliminate bottlenecks, redundant processes, and downtime. Watch your income grow once you focus on productivity and time efficiency!